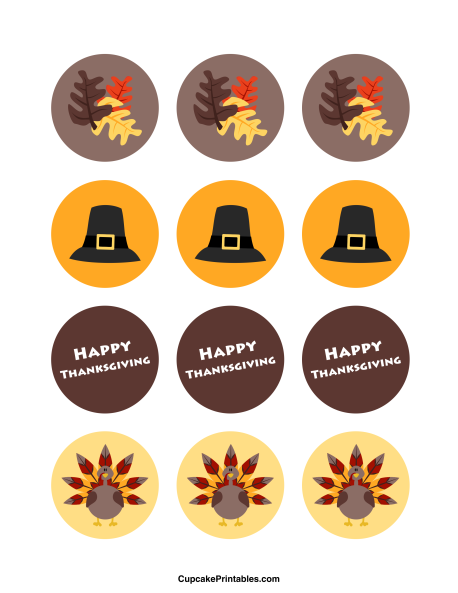 Thanksgiving-themed cupcake toppers with a fall color scheme. The graphics include fall leaves, a pilgrim hat, and a turkey. One topper features the text “Happy Thanksgiving.” These 2-inch circles can be used as cupcake toppers, party favor tags, and more.